Closing date for online entries is 15th January 2013 at 5pm. What is a Swiss Roll? 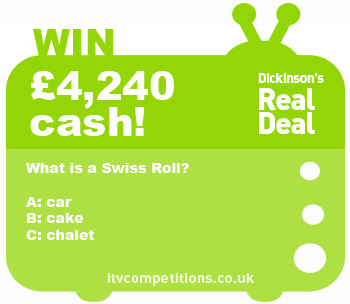 Enter the Real Deal competitions 3 times per phone number – Dickinsons Real Deal airs up to 6 times per week and there is usually a different cash prize to be won every day! GOOD LUCK!